We were founded in 1988 by English National Ballet to provide talented young dancers with the highest quality of training. 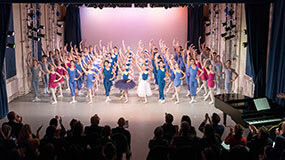 English National Ballet School provides full time training for students starting from 16 years of age. Application packs are now available for students wishing to apply for our full time course.